I haven't seen anything but the fast and furious edition for months now. I was able to pick up a few of the clearance cars before Christmas but missed the sets. Finally I can use the cars I picked up. I thought I was doing good until I went to my doctor and had to pop by the store near her office. The family Dollar is going out of business and clearanced out everything 50%. Since I don't go there often, the pickings were abysmal but I grabbed a couple games. Now I'm like, "Daddy needs more!" Family Dollar has a few PS4 and Xbox One games from time to time. I backlogged Mass Effect: Andromeda and Titanfall 2 from there. Great deals for games that I'll probably never play! Why are the 2018 Black Wired Nintendo Gamecube Smash controllers going for $50+ on ebay? Were they only available for a certain time? My Target had some but l don't even play smash. Like everything Nintendo does, they only shipped them out for a limited time after Smash Ultimate came out. After seeing them do the same thing during Smash 4, I had the foresight to pick up a few for myself. My eighteen year old original Gamecube controllers needed a break. Had to do a late night Target run yesterday for diapers and medicine for my sick nine month-old daughter and saw a new game on clearance: maybe a new round of games is getting marked down soon? From what I understand, that game also belongs in a diaper. Lol I grabbed a copy to see for myself since a used copy is over $30 at GS. Also noticed the XB1 version is also $19.99, although it's not marked as clearance. If its anything like Sega's Virtua Tennis I'd be a happy man. 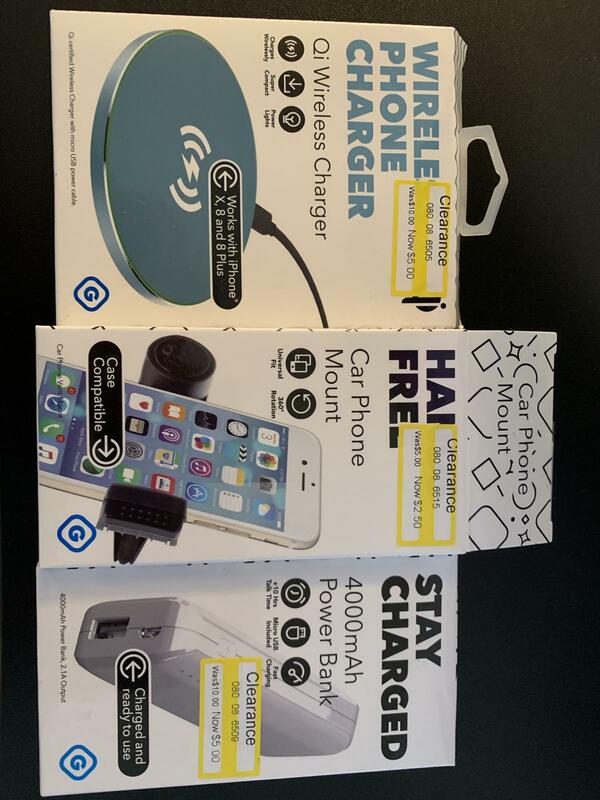 Couple random cell phone accessories on clearance. Sorry for the orientation fail. I wasn't sure if they were Gamecube compatible, then I sort of forgot about them and so I never got any. I hope I can still find one or two out there somewhere. What brand? I need one for my PlayStation Classic. Can’t recall dpci and brand since wifey throw away packaging. It would be on the receipt as well if you have it. That too was throw out. Take a picture of the actual drive? The picture, wife, or drive? Next week, don’t have the drive currently. The DPCI will help in finding stores that have it but not stores that have it marked as an online item. Those markdowns are based on the store and are not set to that price at other stores. Do you have the DCPI of Ever Oasis? Only can find the digital version of the game.